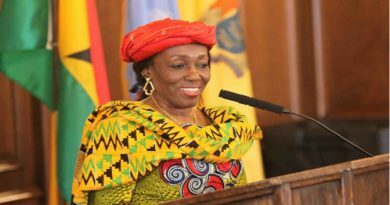 A former First Lady and Leader of the National Democratic Party (NDP), Nana Konadu Agyeman Rawlings, has underscored the need for the country to gravitate towards the establishment of a national electronic data infrastructure which would make the introduction of electronic voting in Ghana easy. In line with that, she asserted that efforts must also be made to streamline the requirements for identifying a Ghanaian voter. Currently, under CI72 Public Elections (Registration of Voters) Regulation 2012, a person who applies for registration as a voter shall provide as evidence of identification one of the following; Ghanaian passport, driving licence, National Identification card, National Health Insurance card (now cancelled), existing voter ID card or one voter registration identification guarantee forms as set out in Form One of the schedule that has been completed and signed by two registered voters. “This is a flaw in our development programme. It is strange that we have five sources of identification; all these create problems,” she pointed out in a conversation with the Daily Graphic at her office in Accra at the weekend. The conversation comes on the heels of calls by some political parties on the Electoral Commission (EC) to put together a new voters register to ensure free, fair, transparent and credible elections in the country. “We the people are suffering because money is being wasted and it is time we put our resources where they would be beneficial to the masses,” she stated. She, therefore, challenged political leaders to deliberate on how to make the National Identification Authority more effective. She, however, maintained that the solution was ensuring that all voters had national identification cards. However, in order to put to rest the vexed issue of the credibility of the voters register, the former First Lady maintained that the NDP felt the perception that the voters register was bloated should be revisited, especially after the 2012 election dispute. “It is very important because it removes prejudices, negativity and the perception of over-bloated voter roll; it will also bring sanity and transparency into the voting system,” she stated. 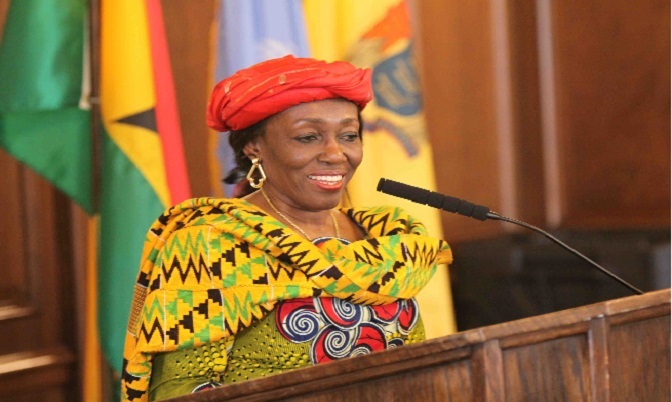 According to Nana Konadu Agyeman Rawlings, Ghanaians need a new voters register so that we do not revisit the problems associated with the 2012 elections. There are controversies surrounding the register, with the New Patriotic Party (NPP) making a case for a new register, while the ruling National Democratic Congress (NDC) is making a counter-argument. Indeed, last Tuesday, the NPP petitioned the EC to ensure that a new register is used for the 2016 elections and followed it up with a press conference, showing evidence that the current register is flawed, bloated and contains the names of foreigners. In a press conference held last Wednesday in reaction to the NPP’s agitation, the NDC downplayed the NPP’s assertions and accused the NPP of engaging in tribal politics in its quest to discredit the voters register. The People’s National Convention (PNC) has also said a new register will not necessarily guarantee free and fair elections in 2016 and rather called for it to be purged. Other parties have supported the call for a new register. These counter-views have, no doubt, made the issue a challenging one for the EC to deal with if it is to remove the dark clouds hanging over the peaceful conduct of next year’s polls. Meanwhile, the Electoral Commission (EC) has asked political parties to submit proposals on how to safeguard the integrity of the current voters register. At a press conference addressed by the Chairperson of the Electoral Commission (EC), Mrs Charlotte Osei, immediately after an Inter-Party Advisory Committee (IPAC) meeting at the EC Conference Room on Fridiay, Mrs Osei stated that political parties had been given up to September 22, 2015 to submit their proposals on the register. She explained that the EC would not only receive submissions from the 24 registered political parties, but would also receive inputs from other civil society organisations and institutions. Mrs Osei explained that the final decision would be based on the principles of promoting credible, free and fair elections which would also conform to the aspirations of Ghanaians and not necessarily what political parties wanted. Nana Konadu also welcomed the news that the Ghana Medical Association (GMA) has decided to suspend its 26-day-old strike with effect from today. She, however, was of the opinion that continuous dialogue and cooperation, and not confrontation, were the key to resolving the crisis. “Without dialogue and cooperation, the issues become worse and difficult to resolve. First of all, in everything you do as a human being, when you have problems you do not box each other; you’ve got to sit with people and deliberate,” she added. She, therefore, expressed the conviction that the government and the leadership of the GMA would find a lasting solution to the impasse.